Monday, June 10 to Wednesday, June 12. Registration is open! Click here to fill out the participation form and join the 150+ delegates already registered! Optional Technical Tours to OFZ plant in Slovakia (immediate confirmation) or Eramet and Ferroglobe's plants in Dunkirk (waiting list), are scheduled on Thursday, June 13. Open to conference delegates only. Click here to register. Shanghai J. Sun Trading Consultants Lt.
Denny Sabah started his career as a mining analyst. For a decade, he worked for mining research companies and metal trading companies, as an analyst and trading strategist. His focus was predominantly on steel, iron ore, coal and manganese. He has held seats on the Statistics Committees of two international industry bodies (manganese and chrome). Denny has degrees in economics from the University of Birmingham and the Sorbonne in Paris, and a Masters degree in International Politics from the University of London. Sébastien serves clients along the energy value chain : power equipment manufacturers, oil and gas companies, utilities, energy intensive industries, financial investors and governments. In addition to clean tech, he is also very passionate by the water and waste industry and the circular economy. Prior to joining McKinsey, Sebastien worked for three years with Diagma as a consultant in Logistics and Supply Chain Management. Sebastien also worked two years for L’Oreal in Indonesia. Sebastien holds an MBA from INSEAD and a degree in Engineering from Ecole Centrale de Paris with a specialisation in manufacturing and production management. Sébastien lives near Paris with his wife and three children. He enjoys gardening and running in the forest. Jack Bedder, Director, Roskill. Jack has 10 years’ experience of analysing the economics of natural resources. He graduated from University College London in 2008 with an MA in Political Science and is currently undertaking a PhD at the University of Cambridge where his research explores the processes and behaviours that shape critical materials supply chains. Jack joined Roskill is 2012 and is now a Director, responsible for all of Roskill’s multi-client reports and subscription products. He also manages Roskill’s Steel Alloys Division, which undertakes bulk alloys, noble alloys and stainless steel and alloys research, and is an authoritative voice on the global antimony, cobalt and vanadium markets. Jack has worked on a wide range of consulting assignments focused on steel alloys and battery raw materials and is a regular speaker at international conferences especially on the subject of emerging technologies and their impact on raw material supply chains. Kevin Fowkes has 21 years’ experience working as an economist and consultant in the ferroalloy industry. Pedro Larrea has also worked in management consulting firms like PwC (2010-2011), where he lead the energy sector practice in the Spanish office, and McKinsey & Company, in Spain, Latin America and the USA (1989-1995). Dr. Ulri ke Dydak, Professor of Health Sciences at Purdue University. After studying physics and mathematics at the University of Vienna, Austria, Dr. Dydak received her PhD and postdoctoral training in physics and engineering of Magnetic Resonance Imaging at the Swiss Federal Institute of Technology (ETH) Zürich, Switzerland. Dr. Dydak’s research is focused on the development and application of novel magnetic resonance imaging (MRI) and spectroscopy (MRS) techniques to study brain metal accumulations and metabolic effects in welders exposed to manganese and other metals through welding fumes. For this work she received the Outstanding New Environmental Scientist (ONES) award from NIEHS. Over the past five years she built up a unique cohort of welders, who are being followed with neuroimaging, measures of biomarkers – such as toe nail clippings, cognitive and motor testing and personal exposure measurements at their work place. Dr. Dydak also collaborated with the German WELDOX II study on manganese exposure. Currently, she is using neuroimaging and biomarker techniques to study thresholds of effect, reversibility and finding markers for individual risk assessment in welders. 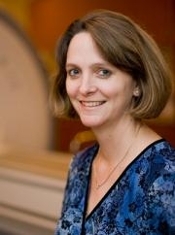 Dr. Dydak is the director of the Purdue Life Science MRI Facility, which she founded with funds from NIH, and holds adjunct faculty appointments with the Department of Radiology and Imaging Sciences at Indiana University School of Medicine, the Department of Biomedical Engineering at Indiana University Purdue University Indianapolis, and with the Department of Speech, Language and Hearing Sciences at Purdue University. Dr. Brandon Cline joined the International Manganese Institute (IMnI) in September 2017. He received his PhD from the Ruprecht-Karls-Universität Heidelberg in Germany and has over 17 years of academic research experience in neurodegenerative diseases and affective disorders. He brings to the IMnI and the Mn industry extensive understanding of the possible neurological risk of Mn and the ability to engage challenges using sound science. Dr. Cline strives to meet all issues relating to Health, Safety and the Environment and regulations facing the Mn industry. The conference program includes visits to Eramet and Ferroglobe plants in Dunkirk on Thursday, June 13. Open to conference delegates only. The Comilog Dunkerque plant is one of the biggest European producer of silcomanganese (SiMn) and is part of Eramet Group, a leader company in its mining and metallurgical businesses. The plant was built in 1978 and is celebrating its 40 years of existence. Its 35 MW open submerged arc furnace has an annual 65 kt of SiMn capacity with 24/7 operations. The 60 employees working at Comilog Dunkerque are committed to achieve the plant’s vision : safe, environmental friendly and energy efficient operations, dedicated to produce top quality SiMn alloys for its customers. Main purpose of the Dunkirk plant is to transform manganese ore, nowadays mainly coming from Gabon and South-Africa, into manganese sinter and manganese alloys, more specifically into ferromanganese high carbon (HC FeMn). Manganese alloys are used by the steel industry so as to give steel various use properties, in particular mechanical ones. From its ideal geographical location, the Dunkirk plant is able to deliver goods not only to the main European steel producers (in France, Germany, UK, Belgium, Italy, Poland, etc…) but also to the ones overseas (recent shipments to the Middle-East, India and China). The plant employs 85 people, mainly dedicated to production and maintenance activities, but also working in the administration (purchases and logistics, HR, bookkeeping) services. Asia Minerals Limited (AML) is an international corporation with subsidiaries spread across the globe in Asia, Africa, Europe, CIS and America. AML was founded at Hong Kong in 1993 and is specialized in all Manganese related businesses from Ores to Ferroalloys, Metals and Chemicals. AML is committed to Manganese and devoted to provide all kinds of solutions to the customers for their needs of Manganese. KMR is a Manganese mining company incorporated in South Africa and a joint venture among AML, Nippon Denko Co., Ltd. and BEE entity partners. KMR is one of the five largest miners of Manganese in South Africa and currently operating two farms of “York” and “Hotazel” with annual production of 2 million MT Manganese ore of Mn 36%-42%. PFA is a ferroalloy smelting plant located in Bintulu, Malaysia and jointly owned by AML, Nippon Denko Co., Ltd., Shinsho Corporation and a Malaysian corporation. PFA started production in 2016 and it is the first ferroalloy smelting plant in Sarawak, Malaysia. PFA currently produces Ferro Silicon as well as Silicon Manganese, with annual production of 250K MT. AML, as an integrated producer of Manganese, strives for providing excellent products and services to the customers, as well as maintaining the long term partnership with all our stakeholders in a respectful manner and “Win-Win” attitude. of manganese ferroalloys in the Americas and is the most important producer of manganese ore in North and Central America. Autlán is focused on fulfilling the manganese needs from the steel industry as well as the specialized manganese requirements from the dry battery, ceramic and micro nutrient producers. The company owns three manganese mining units and three ferroalloy plants. - parts and semi-finished products in alloys and high-performance special steels used in industries such as aerospace, power generation and tooling. ERAMET is also developing activities with strong growth potential, such as lithium extraction and recycling, playing a key role in the energy transition and the mobility of the future. The Group employs around 12,600 people in 20 countries. OFZ, a.s. is a diversified manufacturer of ferroalloys, cored wires and Silicon metal with over a 60-year history. Today, the company manufactures and offers its customers a wide range of manganese and silicon ferroalloys, cored wires with different powder fillers, different grades of silicon metal and by-products from the furnace dust and slag. OFZ is among the most important suppliers of ferroalloys for steelmakers & foundries in the Central Europe where roughly 90% of the production is sold. OFZ focuses on diversification strategy of manufacturing high value-added products and pursues waste-free management processes & technologies. Since 2018, OFZ, a.s. has introduced Integrated Management System including Quality Management System pursuant to ISO 9001 (the first certification is dated back to 1994) and Environmental Management System pursuant to ISO 14001. Since 1996, OFZ has been an affiliate member and since 2004 a regular member of the European Association of Ferroalloys Producers - Euroalliages headquartered in Brussels. The company is a member of International Manganese Institute IMnI seated in Paris since 2000 and an affiliate member of CaSi Institute seated in Brussels since 2013. OFZ, a.s. is also a member of National technology platform for research, development and innovation for raw materials (NTP VVIS). South32 is a globally diversified mining and metals company. We produce bauxite, alumina, aluminium, energy and metallurgical coal, manganese, nickel, silver, lead and zinc at our operations in Australia, Southern Africa and South America. We are also the owner of a high-grade zinc, lead and silver development option in North America and have several partnerships with junior explorers with a focus on base metals. Our purpose is to make a difference by developing natural resources, improving people’s lives now and for generations to come, and to be trusted by our owners and partners to realise the potential of their resources. ChemLinked chemical portal (http://chemlinked.com/) is a trusted source of information on chemical regulatory regimes around Asia Pacific region, which provides timely chemical regulatory news, in depth analysis & reports, searchable database and inventories as well as e-translation for our users from the global chemical industry. Mining Frontier is a leading mining and minerals information-focused website. On one side it has established itself as one of the most efficient and comprehensive sources of mining related information online, dedicated to providing decision-makers in all the mining industry sectors with reliable, accurate and useful insights into happenings in the mining sector.